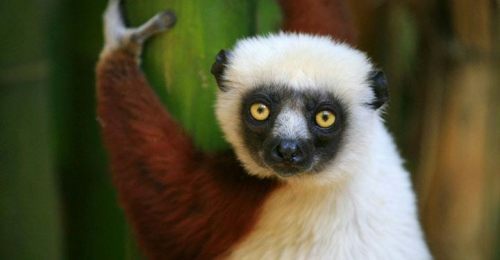 Toronto to Antananarivo, Madagascar is bookable with Delta for $881 CAD roundtrip including taxes. The typical best roundtrip price to Madagascar is over $2000. This is *not* a destination you normally see unusual price drops to! This is a distance of over 30,000km roundtrip! (Equivalent to 2.5 roundtrip flights to Europe). Yes, Madagascar is literally about as far from Toronto as you can get. Focus on April/May dates if you can. Warm weather & dry. Jan/Feb is also warm, but can be a lot of rain. This price only seems to be bookable on Expedia at the moment. Delta's website still shows $2324 for the same flights. It appears prices have gone back up. At least, on every date I've tried. toronto, yyz, flight deals, delta, africa, eastern africa, antananarivo, madagascar and tnr. 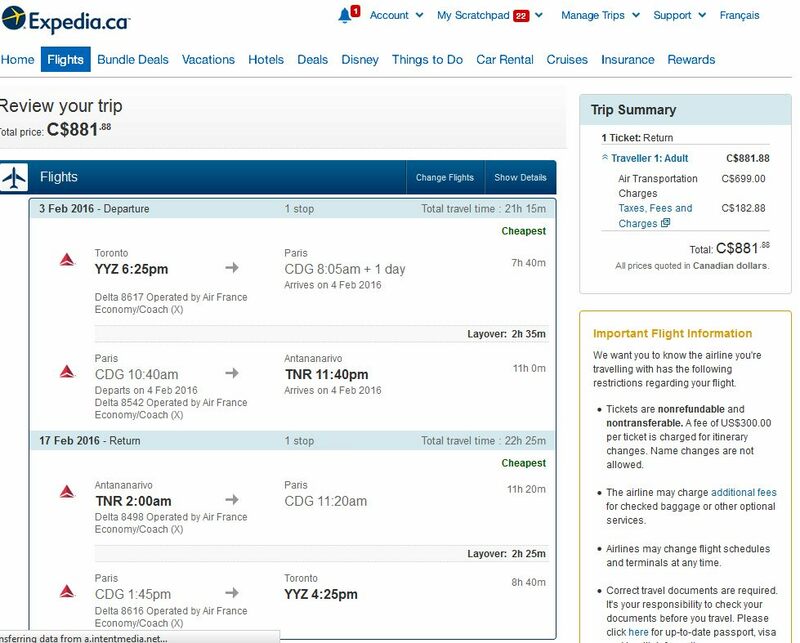 6 Responses to "Toronto to Antananarivo, Madagascar - $881 roundtrip including taxes"
Is there any way to book this deal with a stop over in Paris? I booked this directly on Air France's site because — still available there. Got it for May 2nd to May 18th.